Michael March was born in 1946 in New York. After graduating in history from Columbia College, he left for Europe. He is the author of Goya, Disappearance and When she danced, and the co-translator of Zbigniew Herbert's Barbarian in the Garden . He edited Child of Europe: The Penguin Anthology of East European Poetry and The Picador Book of Contemporary East European Prose . 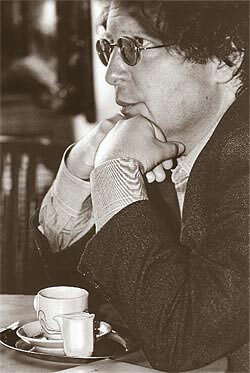 Michael March lives in Prague and directs the Prague Writers' Festival.